That they are general purpose and so can be used by as many researchers as possible. The tools allow researcher focus on their work and help them do things in a speedier, and more efficient and reliable way. 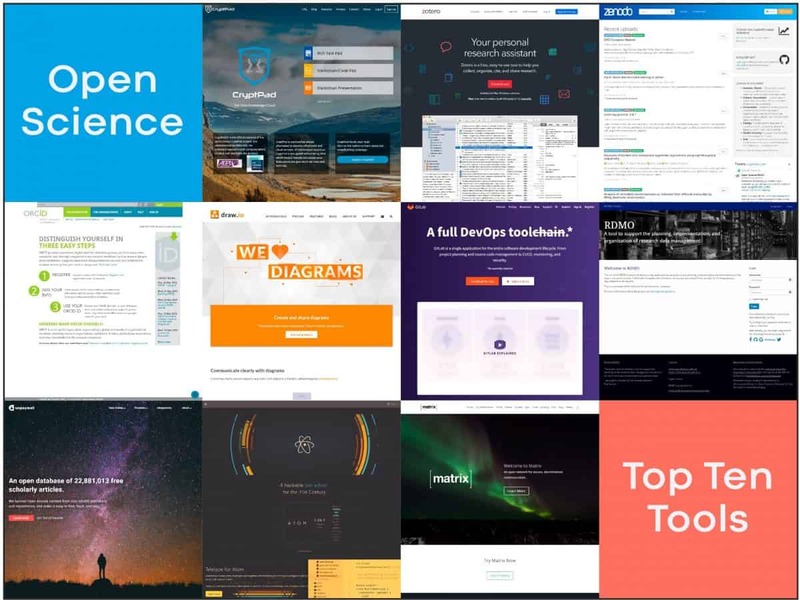 There are many other tools that could be in this ‘top ten’ and the full list can be seen here and on our Twitter list – Open Science Index. Thank you to everyone that suggested tools and the list will be kept up to date as new releases come along. To stay updated you can sign up to the Generation Research email newsletter or follow the Twitter hashtag #opensciencetop10. Suggestions or questions please DM the GenR editor-in-chief Simon Worthington @gen_r_ on Twitter. 1. The GUI was invented 1973 Xerox PARC when developing the Alto personal computer as a way to use computer intuitively and learn through exploration (use) as opposed to be trained. It was developed by Alan Kay, Larry Tesler, Dan Ingalls, and the Alto team. The precursor was invented by the Stanford Research Institute led by Douglas Engelbart and can be seen in this YouTube video in what is know as ‘The Mother of all Demos’ made in 1968. Previous: Previous post: Welcome to Post-digital Community Science! Next: Next post: Loners, Pathfinders, or Explorers? How are the Humanities Progressing in Open Science?